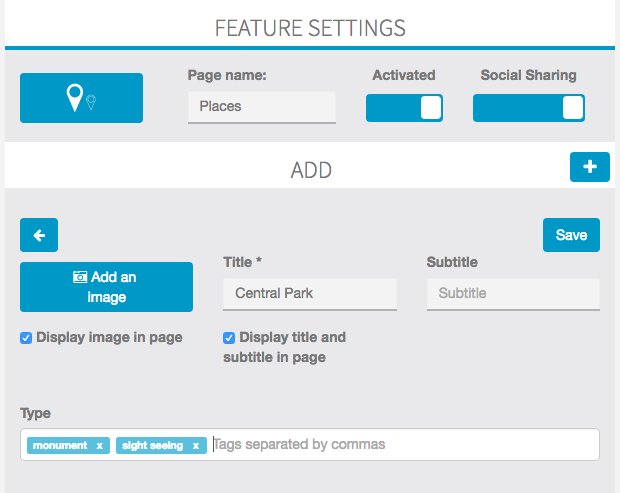 With this feature, you will be able to create a list of geolocated places. It will display all the places on a map, or, if the user opens the sheet of a particular location, he will be able to get the path and directions to this location, by walking or driving. The listing of the locations is sort according to the distance between the locations and the user, from closest to farthest. After having added the feature to your app, click on the “+” to add a place to the list. Then, you have to enter an address for this location, or its coordinates. You can add a label for this address but it’s not mandatory. 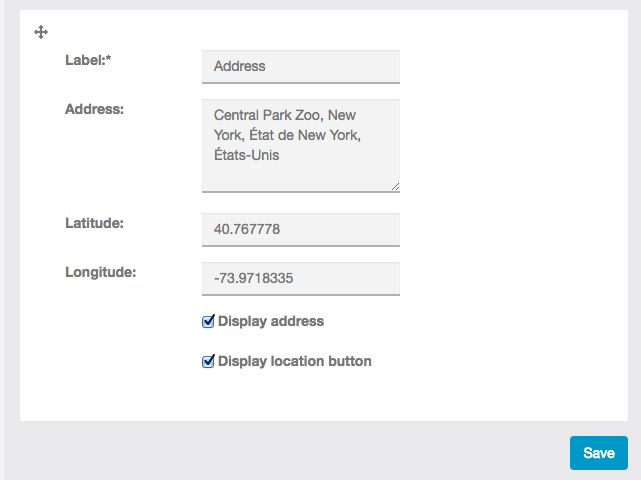 If you check the “Display address” checkbox, the address will be shown in the sheet of the location. If you check the “display location button” checkbox, it will display the button that will allow the user to see the path to this location. 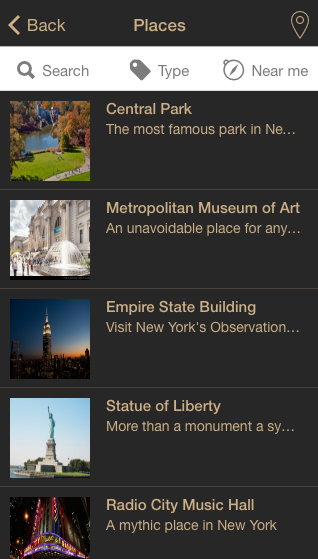 Then you can add other sections like text + image, photo gallery, videos. These sections are the same than in the Custom page feature, thus you can take a look to our support article about the Custom page feature to see how it work, click here. You can also add touch to call buttons, or web links buttons. 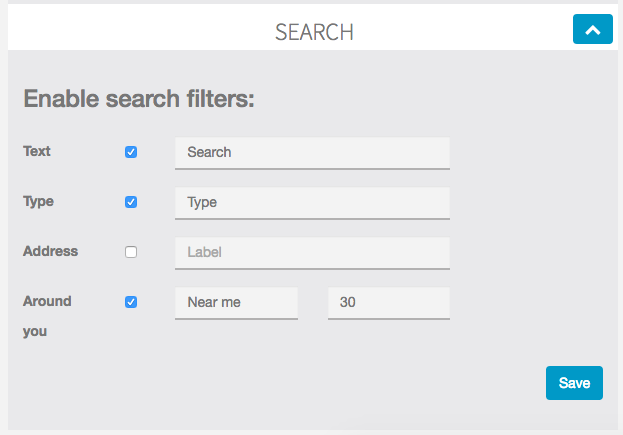 Just check the search filters which should be displayed in your app. This entry was posted in Build-In Features. Bookmark the permalink.